Commissioning a piece of furniture is a journey where the goal is to enrich, add function and instil beauty in your surroundings. 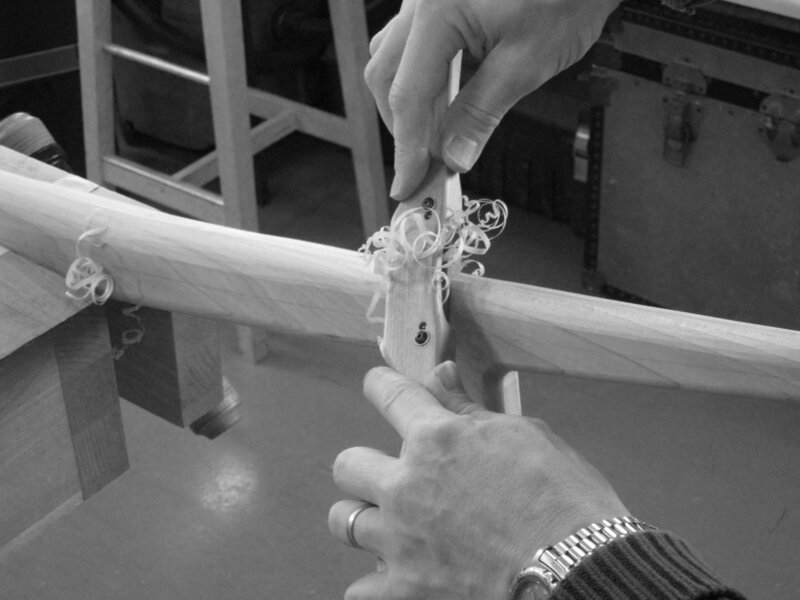 My passion is to create beautifully handcrafted furniture that fulfils this goal. The majority of my furniture is designed and made to order. The website shows a selection of previous projects and some core pieces, which may be made to order using different timbers. Commissioning offers the chance to own a truly bespoke piece of furniture. The commissioning process can be a little daunting for those not used to buying furniture in this way. I like to keep things straightforward and make it as easy as possible for you to own a beautiful and unique item. Following your initial enquiry, I will get in touch with you to discuss your requirements and arrange a meeting. This initial meeting will ideally be at the proposed setting for the finished piece of furniture. At this meeting, we can discuss details of the project, including timescale and budget. This may include any preferences you have regarding the style of the piece, how it will be used and any timber and other materials you may prefer. With your permission, I will normally take photographs of the setting, along with survey dimensions and humidity readings, if necessary. After the initial meeting, I will produce a design proposal, along with outline costs and timescale, to be presented to you at a second meeting, when a refundable design fee of £100 against purchase will be due. If you are happy with the proposed design, I will submit a dimensioned working drawing and final costs for your approval. At this point, a 50% deposit will be due to secure my services and enable the purchase of the timber and materials for your project. Note that any subsequent revisions after this stage may incur further costs. For larger value commissions, an second interim payment of 30% will be due at roughly two thirds of the way through the project, usually following a visit to my workshop where you can view progress. Delivery will be arranged at a mutually agreed time. For all but the smallest pieces this will be in person. The outstanding balance will be due on delivery.